The deluxe room at Hotel Margutta 19 is 24 square meters (256 square feet). 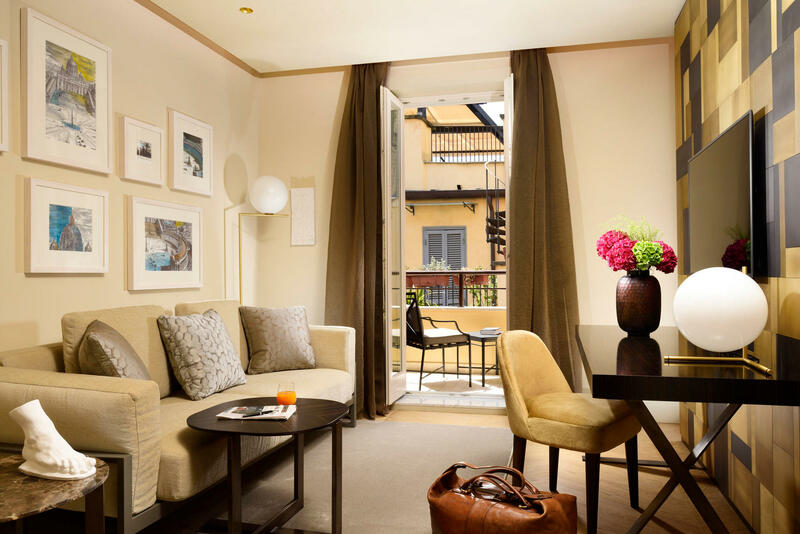 Luxury accommodation in Rome combining five-star comfort with contemporary style. 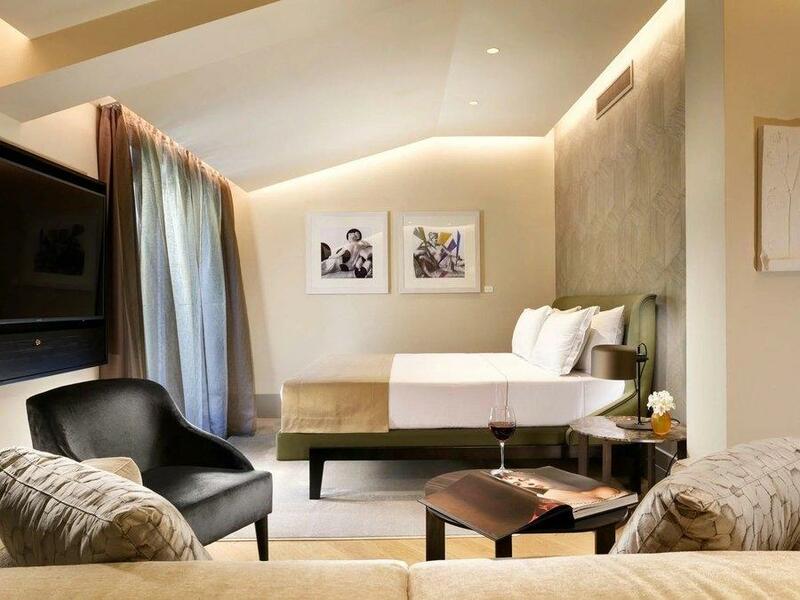 Our beautiful deluxe room has a king-size bed complete with Frette sheets and a down-filled duvet. The bathroom is finished in travertine marble with a walk-in shower, and sumptuously soft Frette bathrobes and towels. Elegant details and top-notch amenities like a Nespresso coffee station and flat-screen TV will enhance your stay. Quiet room (no view), can be combined with a Classic Suite to create a private suite or family residence.